London: Margaret Thatcher, the former British prime minister whose iron will is credited with helping to pull down the Iron Curtain, is dead. 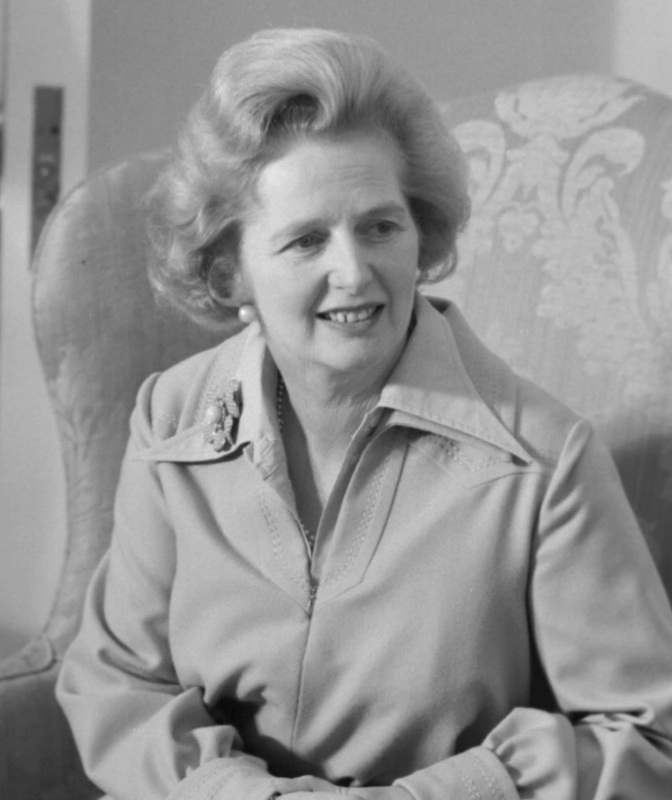 Thatcher died on April 8 at the age of 87 following a stroke, her spokesman said. Born the daughter of a grocer, Margaret Hilda Roberts grew up in modest circumstances in a house marked, as she said, by the qualities of practicality, seriousness, and intense religiousness. conservative, developed her formidable skills of repartee and public speaking. After two unsuccessful attempts, Thatcher finally won a seat in the British Parliament in 1959 and began her steady rise through the ranks of the Conservative Party. By 1975, she was strong enough to challenge Edward Heath for the leadership of the party. 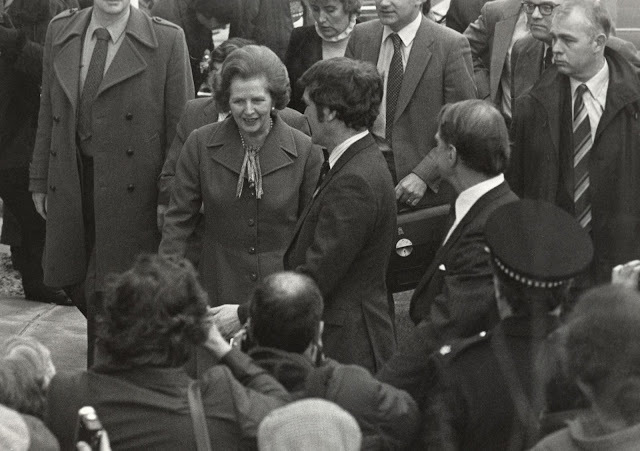 In 1979, Thatcher became prime minister, the first and only woman in Britain ever to hold that office. Her first challenge came when she confronted Britain's industrial labor movement, which had grown sufficiently powerful to defy three previous governments. The Iron Lady, as she came to be known, broke the power of the organized workers and imposed legal restrictions on their activities. For Thatcher, it was all part of her crusade to free the sovereign individual from collective restraint. She offered a glimpse of her philosophy years later in a speech at Ohio's Ashland University in the United States. "Let me tell you how I see it, which I believe is the correct way -- of course I would. The thing is this -- that freedom is a moral quality, not just a civic quality, or a national quality. It is a moral quality," she said. "It is the quality which enables us to exercise our God-given talents and abilities -- that is a right which no government should ever be able to take away." The individual, she believed, must stand or fall on his or her own efforts. She implemented that same vision through her actions in government, restoring free-market economics to a country she believed had grown lazy on a diet of state intervention. The answer, she suggested, was to dispense with regulations, cut taxes, create a framework for enterprise, and raise the spirits and hopes of the people. Thatcher was a hugely controversial figure at the time, reviled by the left as a primitive capitalist. Her economic policies did restore vigor to Britain, but at the cost of widening further the disparity between rich and poor and deepening the country's social problems. Her partnership with U.S. President Ronald Reagan during the 1980s provided global leadership for a new conservative movement, whose underpinnings were free markets, privatization, and the reduction of the role of the state, combined with passionate anticommunism. Thatcher never went to any trouble to conceal her admiration for the American leader, nor Reagan for her. "We both came to power in our respective countries believing the same things, but we both saw -- each of us -- a nation not living up to the best of the talent that was within it," she said. "America was rather demoralized. You had the terrible incidents of the hostages in Iran, and America wasn't living up to her best. Her morale had gone. And in Britain, we'd had the winter of discontent, strikes and so on. "So we both faced the question: 'How do we take this country from pessimism to pride? How are we to get the enterprise going? How are we to get it dynamic and enthusiastic, serving both its own purposes and serving the world as well?'" If she saw in Reagan a kindred spirit, she also recognized the value of the reform impulses of Soviet leader Mikhail Gorbachev. Gorbachev became the general secretary of the Communist Party of the Soviet Union in 1985. His reform programs set into motion changes that led to the collapse of the Soviet Union. 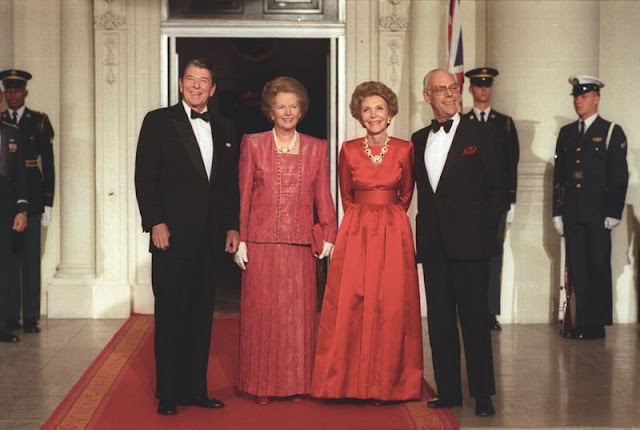 In the same year Gorbachev became party leader he visited Britain, and Thatcher warmed to him. He's a "man you can do business with," she famously said. In a 1993 interview, Thatcher recalled her dealings with the Soviet leader. "We had the practice of not having many advisers, and [Gorbachev and I] got on best of all when I had just one secretary with me [and] he had one with him," she said. "He had his interpreter, and I had mine. I had mine -- an expert -- so I knew that what I said would be interpreted accurately. 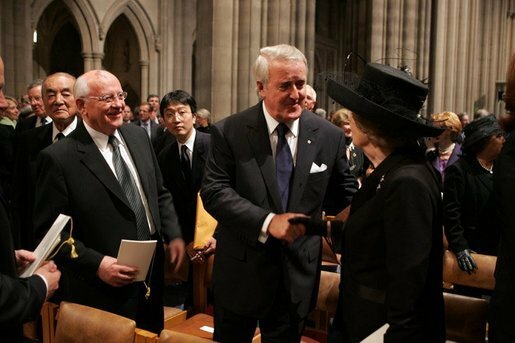 I wasn't going to have any interpreter afraid to say to Mr. Gorbachev what I was saying. And he would bully me! And I would bully him back! Then I'd say, 'Let's get down to the issues.'" Thatcher was a towering figure in her party, keeping her male colleagues and potential rivals well in hand. Her authority stemmed not least from her fearless conduct of the Falklands War with Argentina in 1982. As she recalled in an interview years later, her government was incensed by Argentina's brash behavior. "We were full of anger. They were our people [in the Falklands]. They were the Queen's islands. They were our territory," she said. "We thought the days had gone when anyone belonging to the United Nations attempted to take someone else's territory by conquest. Those dictators were stupid. They misjudged us." Her downfall, in 1990, came on the question of Britain's relations with Europe, and within the European Union. Thatcher was always skeptical of closer British ties with the continent, preferring instead to preserve and enhance bonds with the United States. Her party colleagues, though sharing many of her antipathies toward Europe, nevertheless found her views too extreme, and she was forced into retirement. From there, she continued to wield considerable influence, keeping up a busy schedule of public engagements and writing books. But her views began to fall further outside the mainstream. Her spirited defense of the former Chilean dictator Augusto Pinochet dismayed many of her supporters. Time and experience have dimmed the legacy of her political philosophy. Big-scale Thatcher-Reagan style deregulation, particularly in the global financial sector, is partly blamed for precipitating the financial meltdown which started in 2007, and which led to worldwide recession. Ironically, however, the Labour Party leader Tony Blair was deeply influenced by Thatcher. When he came to power in 1997, "New Labour's" program was a thinly disguised version of pro-business Thatcherism with a social element tacked-on -- the so-called "third way" between stern capitalism and inefficient socialism. Thatcher suffered a stroke and illness in the first few months of 2002. In March of that year it was announced that she was retiring from public life to preserve her health. She also battled dementia -- a struggle controversially highlighted in the 2011 film "The Iron Lady," which had Meryl Streep in the starring role. 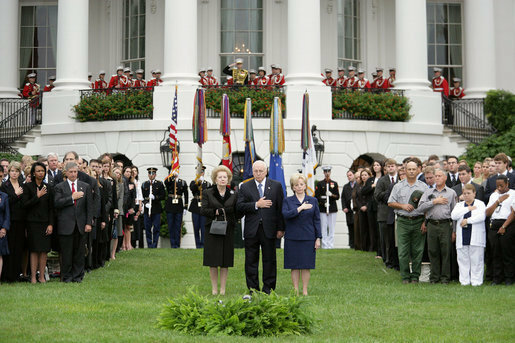 One of Thatcher's few appearances in later years was on a videotaped eulogy played at Reagan's funeral in June 2004. In it, she praised Reagan for knowing his own mind, for having firm principles, and for acting upon them decisively -- words that many would choose to describe Thatcher as well.